Our Beloved Prophet –upon him blessings and peace- was the greatest teacher who taught Islam to humankind. He not only taught us the Holy Qur’an, but also personally showed us how to live in accordance with its principles. 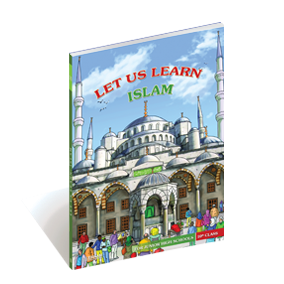 This book has been prepared for the students of junior secondary level to teach them the Islamic creed, the proper manner of offering acts of worship, and the good manners that a good Muslim should adopt in the light of the life and teachings of our beloved Prophet Muhammad –upon him blessings and peace. It aims to raise young generations in the best manner and help them to join among the Muslims at whom the Blessed Prophet will smile in the Hereafter. Es ist noch keine Bewertung für Let Us Learn Islam 10th Class abgegeben worden.